As I re-read the story it rekindled, despite the passing of time, that same sickening and haunting feeling I experienced when I first read it. The story came from a person very much involved with the ‘down-and-out’ scene in Chicago USA. Her story goes that a prostitute came to her in wretched straits, homeless, sick, unable to buy food for her two-year-old daughter. Through her tears and anguish, she told her what she had to do to support her out of control, drug habit. The full details are too horrible to print in this article. What stood out from that appalling story is that women much like this prostitute ran toward Jesus during His earthly life, not away from him. The worse a person felt about themselves, the more likely they saw Jesus as a refuge. Has the church lost that gift? Why do the ‘down-and-outs,’ who flocked to Jesus when He lived on earth no longer feel welcome among his followers today; what’s gone wrong? Take the word grace…..one of the grandest theological words that have remained unspoiled by the passing of time. Grace underlies our proud civilization, and even now, despite our secular drift, we are still drawn like a magnet to the word Grace. Just think how frequently we use the word. I also learn about a word from its opposite. The media spoke of communism’s “fall from grace,” a phrase similarly applied to President Richard Nixon, and King Edward V111. The many uses of the word convince me that grace is indeed amazing. It contains the essence of the Christian gospel. The hymn “Amazing Grace” edged its way on to the Top Ten global hymns two hundred years after composition. Remember the Berlin Wall falling in a night of euphoria, South Africa’s blacks casting their first, free vote……. Yitzhak Rabin and Yasser Arafat shaking hands in the Rose Garden? 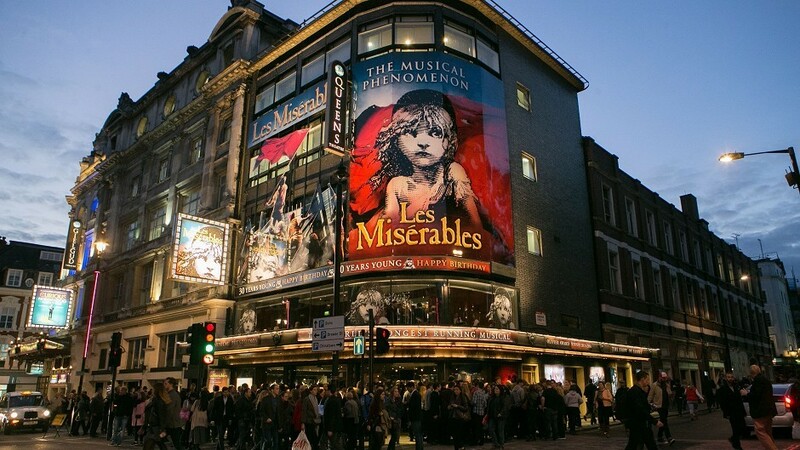 Among the many brilliant musical theatre performances I have enjoyed, none has ever gripped me like Les Misérables. I’ve seen it three times and each time my wife and I were moved to tears, literally, by this story depicting a life changed by faith and grace. The main character, Jean Vaijean, was released on parole after nineteen years on the chain gang, yet condemned to the life of an outcast. Only a saintly bishop treats him kindly and yet Valjean repays the bishop by stealing some of his silver. Caught and brought back to the bishop, Valjean is astonished when the bishop shows mercy, and lies to the authorities to save him. He forgives him, he extends the love of God to him, and what’s more gives him freely two additional silver candlesticks. That act of grace changed Valjean as man, he is never the same again. He became a man of simple faith and began to live a worthwhile life. He continued to care for the dying and, in the end, overpowers his enemy, Javert, with the love of Christ. In short, Jean Valjean models the Sermon on the Mount. In a busy, angry, confused and broken world like ours, I know of no greater need than to have an authentic display of simple faith. The presence of a church that demonstrates love and extends grace, humbly, and with mercy, is in short supply. The world waits for others, who, like Jean Vaijean, will walk as He walked; forgive as He forgave; care as He cared, and love as He loved. In the hurried lives of too many modern day Christians peace is missing, and we will only find it when we return to a life enriched by simple grace and love. 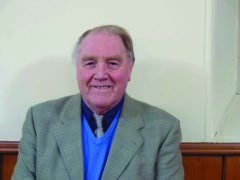 John Young is a former soldier, Salvation Army officer and Grampian regional councillor for Bridge of Don.